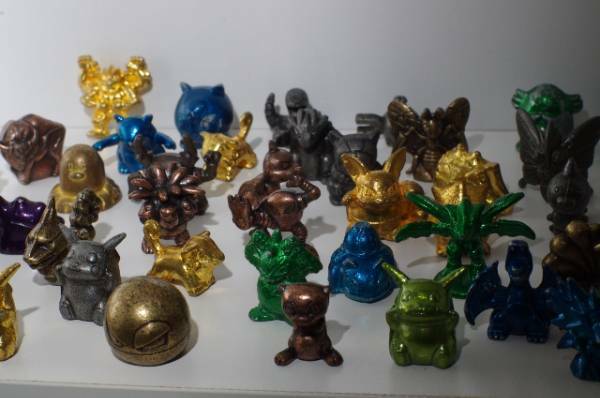 There are many more metal figures in this lot not seen in the picture, and many of them are still at their starting price of $2. I'm like 3billion percent positive this is a bootie, but can anyone tell me what its a bootie of? I've never seen anything like it! It's from ebay... If anyone has it, what is it like? Is it good quality or not worth getting at all? I'm considering it as a relatively good priced 'gag' present for my friend. I told her i'd get her a boyfriend for Christmas and the last few days we've been arguing over who is better, Gary or Ash! I think getting this would be hilarious!!! 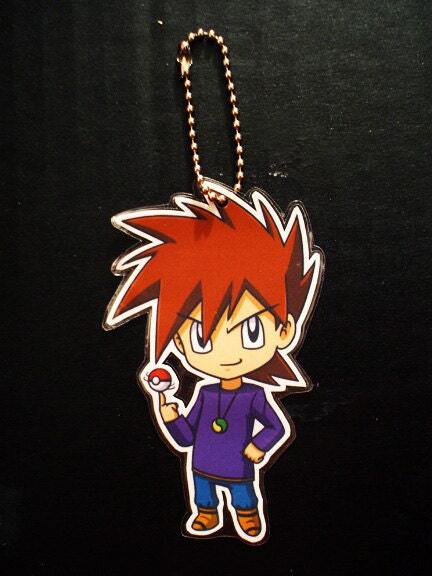 Also, I ordered this earlier on my fruitless hunt for Gary merch. I love Etsy! Hey guys! I've been scouring the internet for one of these and can't seem to find one anywhere. I was wondering if anyone had any leads on one or was willing to part with theirs. I'm going to offer up $35 for him (I based the price on the only expired eBay auction I could find). If you wanted to sell yours for a higher price, just let me know how much you'd want. It doesn't need to be packaged, just in good shape. Found! On that same note, I'm also looking for a loose Rival Reactors Staraptor if anyone has one up for sale. Onto the second part of the post: I'm looking to commission someone to make a few Pokemon figures to fill out my collection. I was wondering if you guys have any recommendations for artists who sculpt figures. I'd like them to be in the Tomy style and scale. I don't know how many of you people have heard of Fangamer, but they are a great group that has a deep love for classic gaming. They attend both PAX cons, they run a few charity gaming events, and they make some pretty awesome merch. 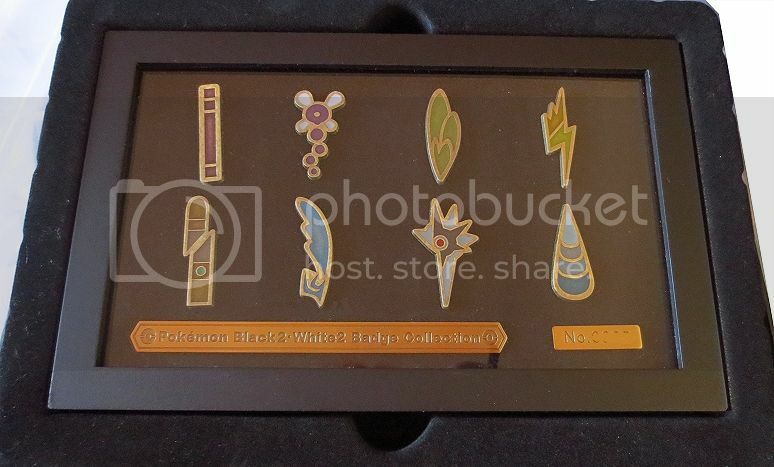 They recently added a bunch of new Pokemon goods I'd thought I'd share with everyone today! Pictures are linked, so click away! yes, it's true, i've decided to stop collecting mewtwo and sell off (most of) my collection. prettymuch everything on the site is up for grabs, plus a few things i haven't had a chance to add yet that i will be posting about over the next month. because of the massive quantity of mewtwos AND for my own sanity, though, i'm asking that if you want to buy anything you post a list hereof items you're interested in. i will reply saying what is/isn't available and how much it would cost and we'll go to notes from there. auction will end sunday the 2nd at 4pm EST. So, I thought that all the photo stories I've been seeing lately were super cute, so when I got my poliwag friends plush in the mail, I figured I'd go ahead and do one! Sorry, I know that my bed isn't exactly the most photogenic place in the room, but there wasn't another good spot to do it. For those of you who participated in the Keshimon Galore GA, I've already requested shipping. I apologize for the delay, I was busy before and during Thanksgiving. But since I have some items of my own in this shipment, I'll cover the cost myself. And this pretty much marks the last time I'll be using SMJ! I've decided to switch to another middleman service due to their high fees and low currency conversions. Now I just have to decide between Noppin or FromJapan. Which do you guys prefer? And I also have some wants! Hey everyone I'm still trying to pay off my debt and am moving to Florida with my parents so I gotta sell the rest of my stuff. Prices are listed or best offer. Shipping within the US is $4 for small items. Hello again, everyone! It's time to continue with my collection streamlining, which means more auctions! I'm sad to see these go, but I hope that they'll be able to go to loving new homes. You can check everything available for auction beneath the cut! PLEASE DO NOT COMMENT UNTIL ALL THREADS HAVE BEEN MADE, THANK YOU! All auctions have drawn to a close. Thank you all who participated in this round! lets start with the bad news....the parcel got caught by a company more evil than team rocket, more cunning than team magma...and more dramatic than team plasma. the dreaded parcelforce! i'm afraid everyone will need to pay slightly more due to being charged by customs (always happens when it ends up with parcelforce), but this will be added to your final payment. just a note on the Ga agogo abbeymew has informed me that, that has also been caught by customs and she will be picking it up tomorrow. Good news... abbeymew now has the parcel and you can expect to get your totals some point tomorrow. For those who bought a reversible plush. please comment below to know what numbers you won and abbeymew will inform you as to what they actually were. Hello everyone! I finally figured out how I wanted to display my vaporeons! If you like it our have better ideas tell me! My zouras and zoroarks are an offcial side collection now. 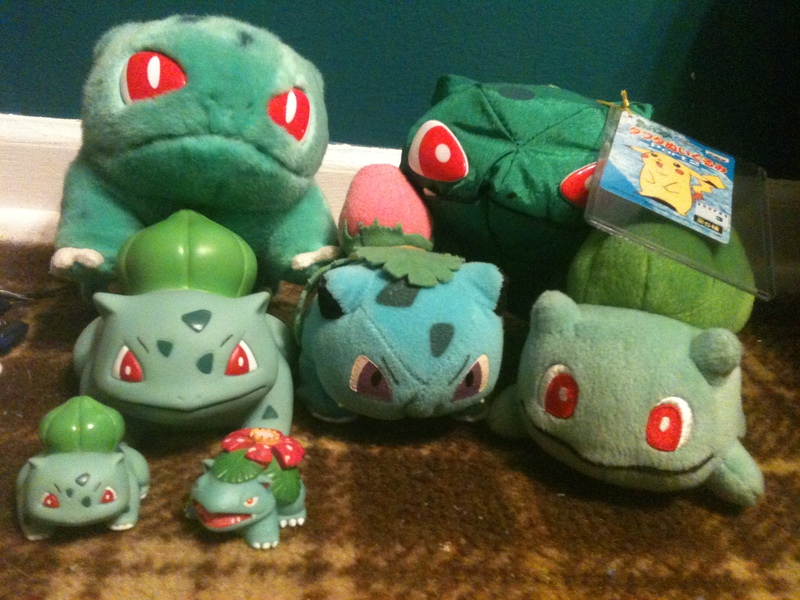 And Oh, how did you favorite Pokemon collection come to be? I mean like in a years time? Pics please X3. Apparently, there is a new Pokémon Center kiosk in the South Hill Mall in Puyallup, Washington. I heard a rumor, and sure enough, there it is on the mall's official store map (it's not in the online directory yet). EDIT: There's also a new kiosk in the Westfield Southcenter Mall in Tukwila, Washington, according to ambertdd. 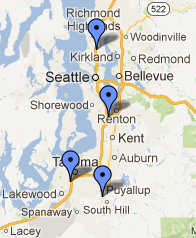 For those who are unfamiliar with western Washington, the Tacoma and Puyallup kiosks are only about 14 miles apart! Puyallup is about 45 miles from Northgate. The kiosks were manufactured by Dillon Works of Mukilteo, Washington, which is also in the Seattle area. Finally, in my search for additional new kiosks, I found a LinkedIn profile for a TPCi retail manager who posted this on his page: "We have opened Pokemon Center kiosks in 3 Seattle area malls since Sept '10. The plan is an expansion of the concept with a wide distribution of Pokemon merchandise, as well as entertainment choices geared to appeal to existing and new Pokemon enthusiasts. The product line includes plush Pokedolls, trading card games, DVD's and DS games, figures and apparel. These are the 1st Pokemon run stores outside Japan." FYI, TPCi is located in Bellevue, and Nintendo of America is in Redmond (but I don't think NOA has much to do with the kiosks). So lately ive run into some money, and I thought i'd make a much more detailed wants post, with some pictures. So, after finding a few auctions on Ebay, I've become very interested in Vending Machine cards. Do any users here have any that they'd be willing to part with? For reference, these are the vending cards. I hope your days are going well! Time for some cute little auctions. I need to make room in my house, and I want to start collecting other Pokemon, and i need some money to go towards some big wants of mine. Without further ado, I bring you these three collections. Dwebble, Weavile, and Bulbasaur. They aren't big, but I want them to go to a bigger family of their own. payments needed on gym badge gb! I received my Garbodor MPC from a recent GA. I AM IN ♥♥♥♥ with it!! So cute!! So I need to fill out my Garbador items!! I have stuff for sale @ turtles4sale, or you can see my posts here. I can trade/buy/sell. Holiday Discount Saaa~a~ales! 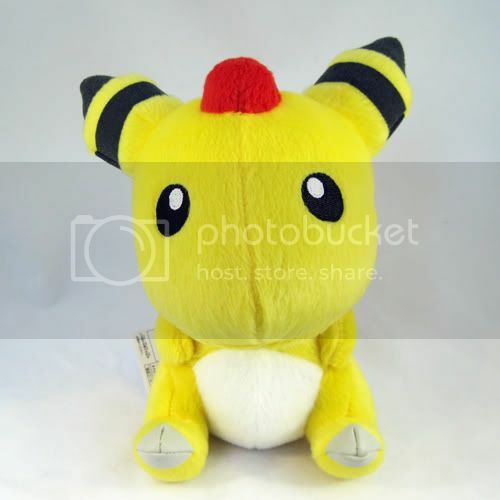 Pokedolls, plushies, and flat lots! Luxray is now on eBay starting at $550, and 10% of proceeds go to charity! 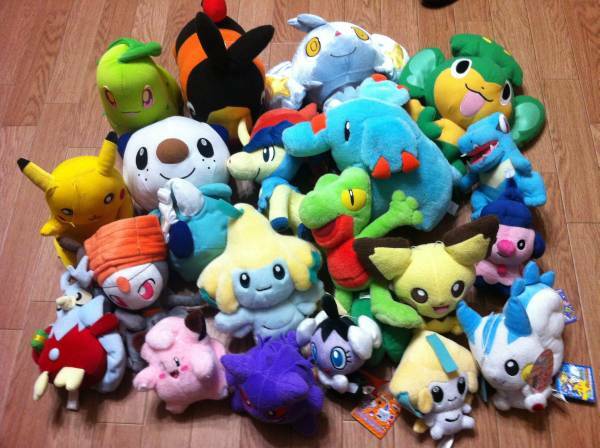 Floaroma Pokemart has superly duperly reduced plushies! 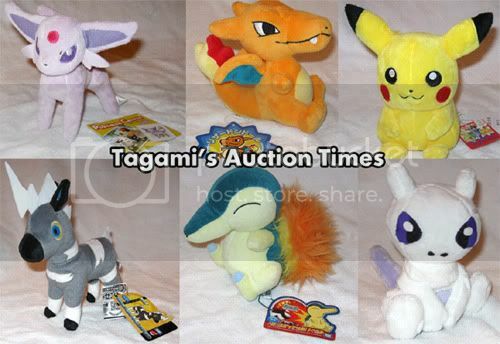 Banpresto Togekiss, Dragonite, Ampharos, Raikou UFO plush at $16/each, and many Pokedolls at $18/each! 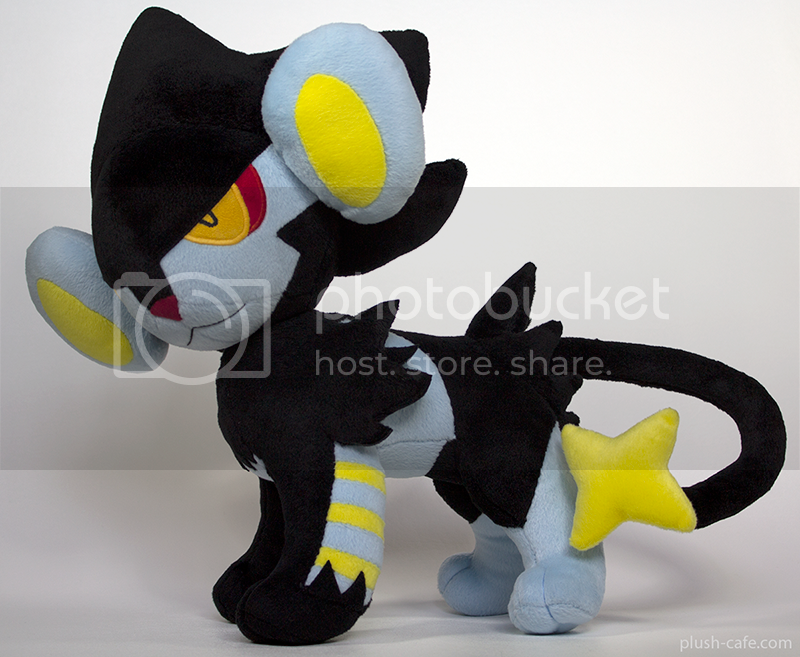 New Mew and Umbreon Pokedolls added! I made sure that most or all of my prices beat the lowest BIN ones on eBay (not bootlegs). All remaining flats are now 15-30% off! Prices have already been adjusted in almost 50 lots remaining! Thank you ever so much for reading my boring post. 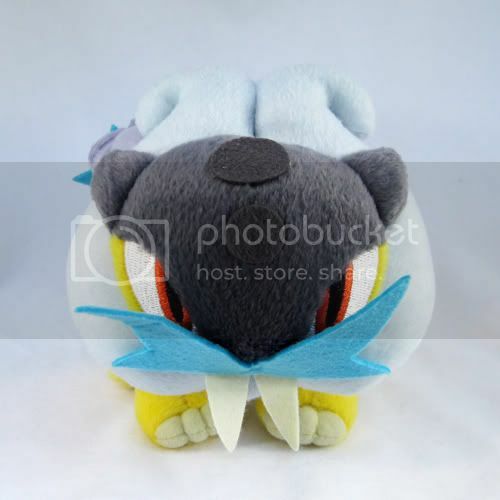 Squawky Talky Lugia GA Arrival and Photos. Firstly, I'm afraid we did not win The Grrrand Grrrowly GA - we simply didn't raise enough money. Secondly, as you may have noticed the other day, my parents took delivery of the Squawky Talky Electronic Lugia GA. I kept quiet until today, because I received a phone call from Mum, concerned that the vast majority of the plush were dirty, damaged, worn or all three. So we set about mending and washing them. I only came over on Sunday, and Mum had already been washing the plush in groups since Friday. Between us we just finished sewing, washing and cleaning this afternoon. It's probably been well over 20 hours of total work before photography and such. 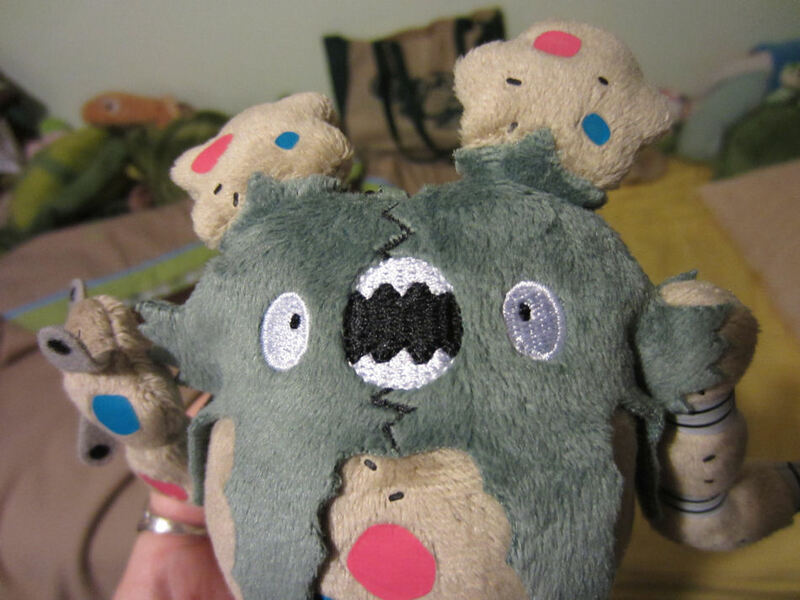 I have photographs of how the plush originally arrived, they look a lot better than they actually were. Any obvious (you'll know what I mean when you see them!) repairs in white or bright orange thread were made by a previous owner. All mends by Mum and I were done with invisible ladder stitch. Any long plush was matted together and needed tlc. That said, most of them have come out well after work. I have contacted the seller and had a reply - if any of you are particularly disappointed with your items now I've worked on them, I will speak to the seller and try to work something out. You can PM me if you don't want to comment here. Please read the comments above your individual items. I will start on weights and packaging tomorrow, I'm just kinda worn out today. Still have to mend my own items. :( I have spent so much time on the other plush that I haven't had time to work on my own yet. Eevee had two torn ears, scratched eyes and a hole in her head you could put a finger through. Not to mention some staining and matted fur (looks nice in the picture but it's tangled and gritty in person). Pichu has badly scratched eyes that have been painted with correction fluid, and a broken ear. I am still uncertain what Eevee is, but if anyone still feels I underpaid, after three days work and more ahead, I think I may have paid it off in labour.